An 8-year-old boy from Alabama is being charged with beating a 1-year-old girl to death while they were left home alone as their mothers went to a nightclub, police said. Birmingham police say 26-year-old Katerra Lewis and a friend left six children unsupervised while they went to a nightclub last month. 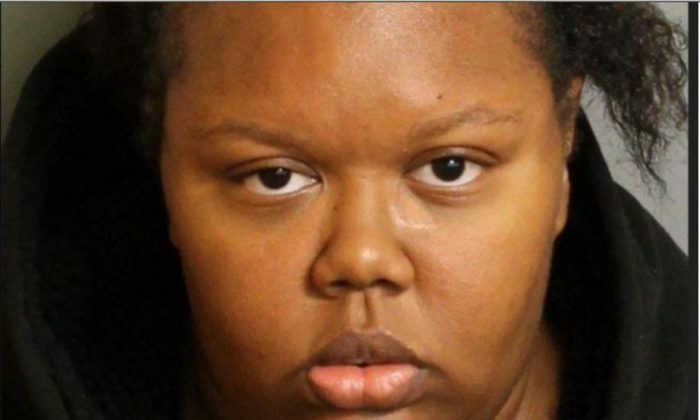 An 8-year-old boy who was not identified beat the infant to death when they were gone, AL.com reported. The boy was left to take care of the infant. Lewis was charged with manslaughter in the case, police said. According to NBC News, police said a murder warrant was obtained for the boy, who is now in the care of Alabama’s child welfare agency. His case will then go through the state’s family court system. There is no minimum age for prosecution in Alabama. A 6-year-old who was at the home told authorities what happened. The details the child gave were consistent with the toddler’s injuries. “I believe the 8-year-old is going to require some intense counseling for the next several years,” Edwards told NBC.